Specialty Transportation was formed in 1993 to provide special education transportation for students and non-emergency medical transportation services for various Connecticut State agencies. In 2002, we made the decision to commit our energy and resources to focus on student transportation. 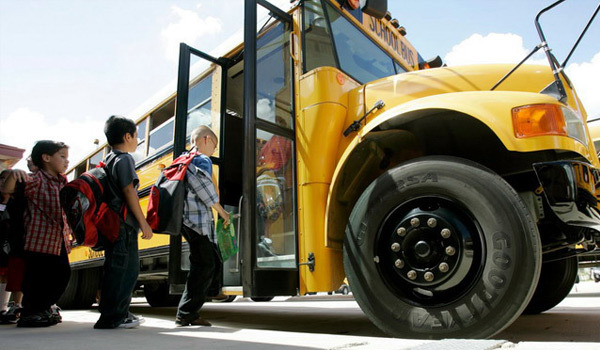 Since that time, Specialty Transportation has grown its fleet to over 500 school buses, student transportation vehicles and charter vehicles; operating terminals in Hartford, West Hartford, Avon, Berlin and Guilford. Although we have grown substantially over the years, we still retain our “small company” attention to detail and reponsiveness. The needs of the communities that we serve can change dramatically during a school year. Specialty Transportation has enjoyed a reputation for promptly responding to the needs of our customers. Relationships are at the heart of our business; not only with our customers but with students, parents, educators, and the Board of Education. Strong relationships, built on trust and performance, are crucial for building an efficient and effective transportation system. Specialty Transportation is committed to bringing the best talent, equipment, and experience to every customer engagement. We are ever mindful that we are in charge of people’s most precious possessions… their children. Driver performance is constantly monitored and ongoing training is provided, exceeding the levels required by law. Our fleet of vehicles is maintained meticulously and is comprised of many new and late model vehicles. Our Connecticut DMV Out of Service Reports consistently rank us one of the top performing companies in the state. Our safety record is outstanding and our commitment to child safety is unwavering. Our most valuable assets are our employees. They are at the forefront of providing our school districts and students with the highest levels of quality and customer service. Employee turnover at Specialty Transportation is minimal and we further demonstrate the “small company” management attitude by treating each employee as an integral part of our business. We develop our drivers by committing to training programs and have our own State of Connecticut Master Trainer on staff. Specialty Transportation is Connecticut’s leading student transportation company. Safety, service, and responsiveness are the keys to our success.